Styled After The Legendary And Original American Racing Wheel The "Baja" Is The Iconic Style That Epitomizes Custom Wheels. In A High Polished Finish. Built out of 6061 alloy the highest quality and some of the highest load limits in the industry. Built To Last!! 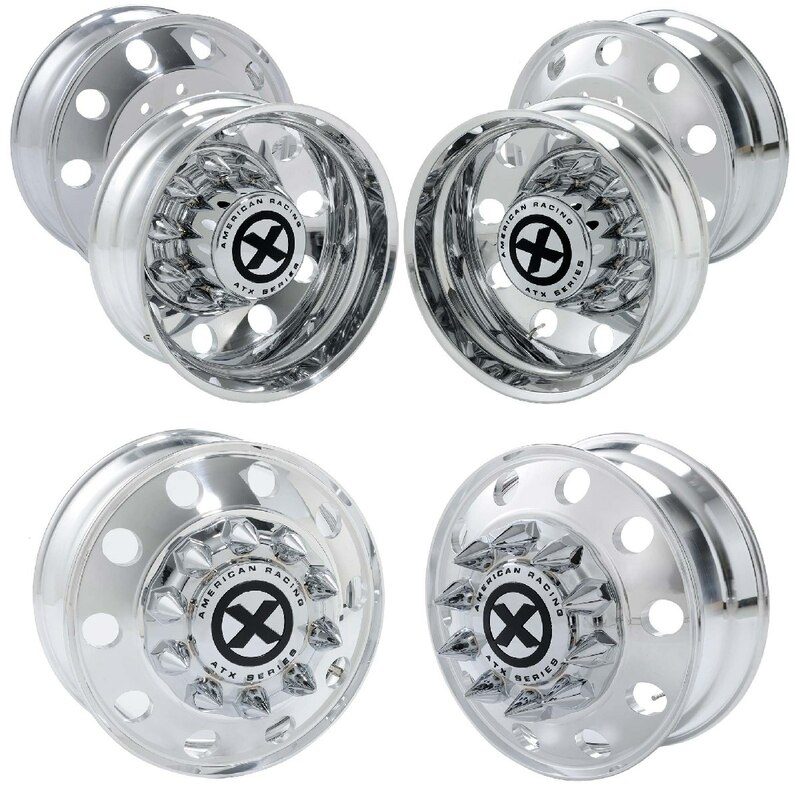 • 22.5" x 8.25" Polished Baja Style Wheel Milled To 22"
Need A Set Of Adapters? (Check Out Our Adapter Page ) We sell a high quality Adapter made from 1045 steel - Need Tires? No Problem! Please Call 330-204 5818 to insure you are getting the correct item, application AND BEST PRICING!